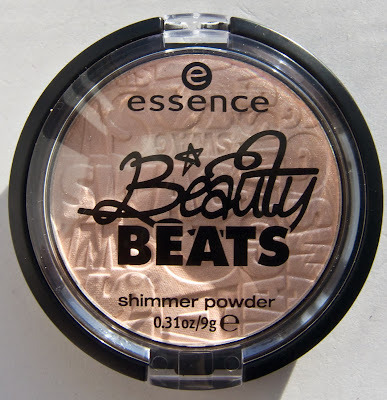 Essence Beauty Beats Shimmer Powder in 01 Swaaag! 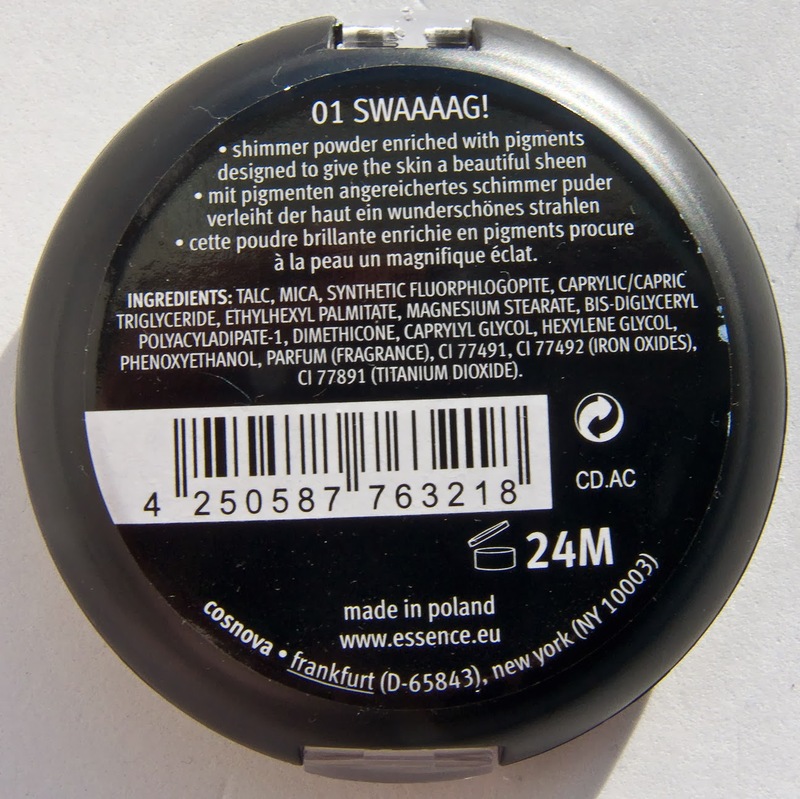 I have to say upfront I'm not and never been a Belieber but I'm just a fan of the essence face powders that get manufactured from Poland. I could not resist this one! This Shimmer Powder retail for $3.99 each at Shoppers Drug Mart. Product: Shimmer Powder is a fine miller shimmer particle highlighter. The texture is smooth to apply with slightly larger shimmer particles in it. Colour: 01 Swaaag! is a pale beige shimmer that appears lighter on the skin. 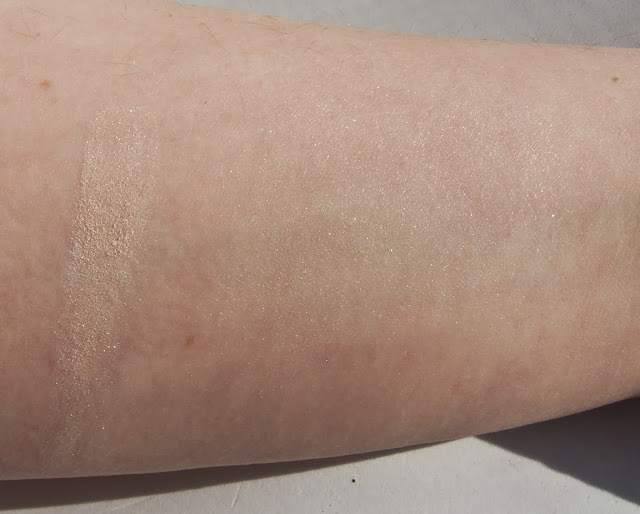 Wear: 12 hours with no issue left on it's own before noticing any sort of fading. Packaging: Standard plastic compact with a clear lid. 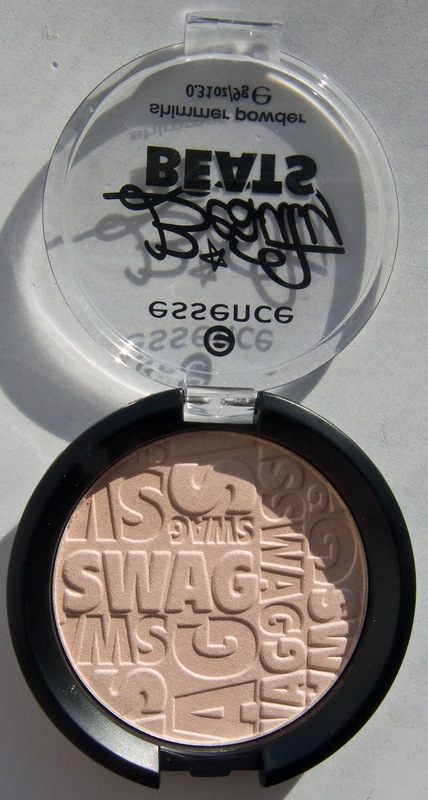 The pan in embossed with the word SWAG repeated. The blush in this collection has Boyfriend embossed in a similar manner. Compare: Reminds me of MAC Mineralize Skinfinish in Lightscapade and the Physicians Formula Happy Booster™ in Translucent but this one is slightly beigier tone compared to those two and the it Cosmetics Vitality Face Disc Highlighter is similar as well. Daylight swatches: Beauty Beats Shimmer Powder heavy and buffed out. 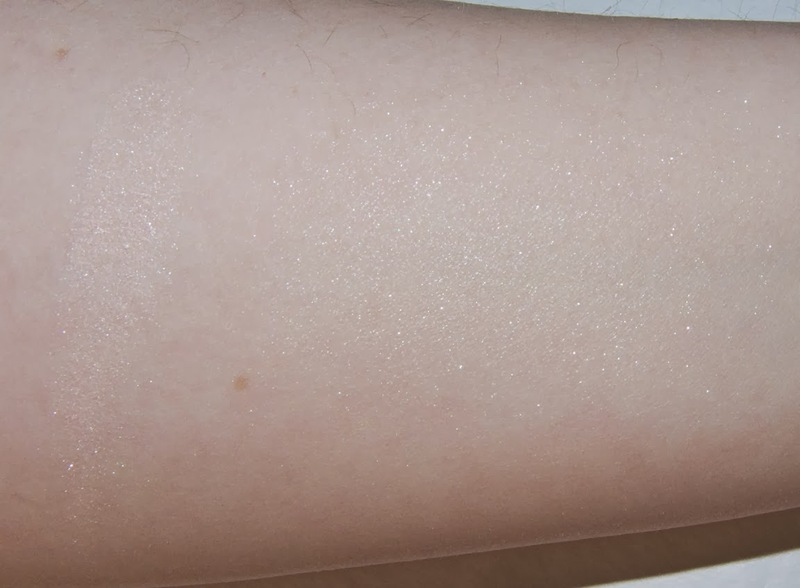 Flash swatches: Beauty Beats Shimmer Powder heavy and buffed out. I have no problem with recommending this one. Although I like a finer milling (less noticeable shimmer) this is still subtle enough to work on fair to medium skin tones.